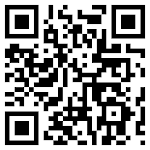 Two videos from Ms McCool's LC class. The first one is on "Barton's Pendulum" and the second is on the "Ripple effect"
Professor Suresh Pillai, Chemistry department of the IT Sligo visited the Transition Year class in Magh Ene College yesterday. He spoke to the students about how his research group had used nanotechnology to develop an antimicrobial material that is resistant to the superbug MRSA. This material has been incorporated into tiles for use in hospitals etc. He also spoke to the students about time-management. Dr. Gabriella Farries, a research scientist from UCD, visited the TY Science class today. 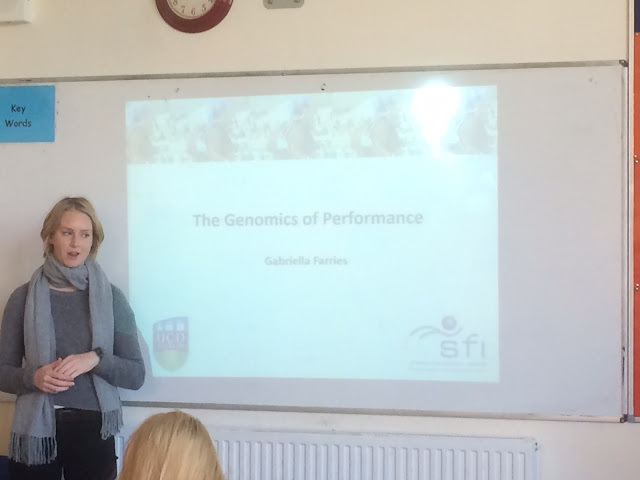 Dr. Farries gave a very interesting presentation on 'How do genes help some horses run faster than others'. 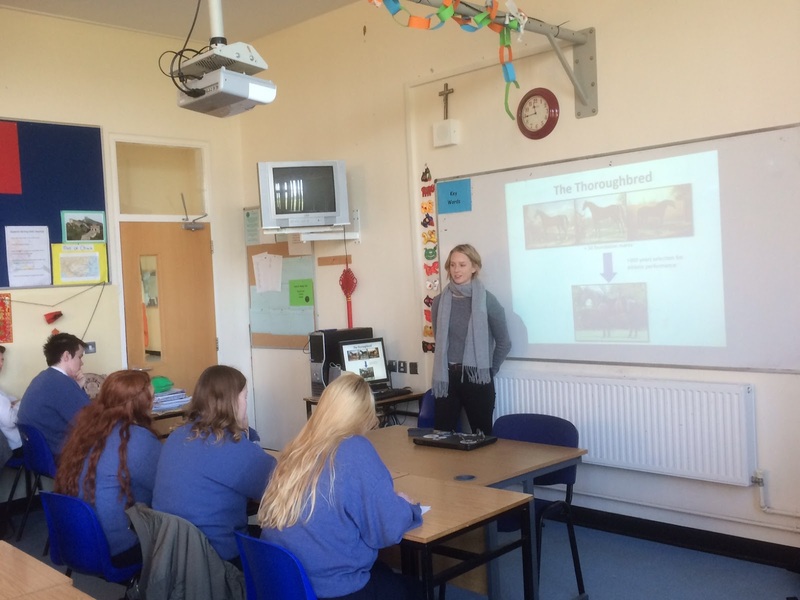 Thanks to Ms. Higgins who organised this visit. 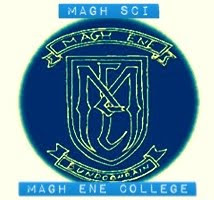 Dr. Fiona McArdle from the Forensic Science Department in the IT Sligo, spoke to the LC Chemistry class in Magh Ene College today regarding course options in IT Sligo and careers in science.